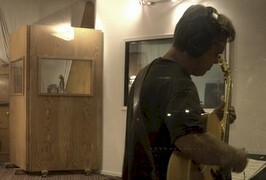 Bellboy's engineer, Dave Bell, is also a talented musician and producer. To find out more about the Dave, see the Bio page. For additonal studio brain-power, Dave calls on his colleagues Tyler Brown (Pandora) and Nino Moschella (Bird & Egg Studios). Solely or in tandem the experienced and efficient crew at Bellboy works for you in a relaxed, artistic environment. 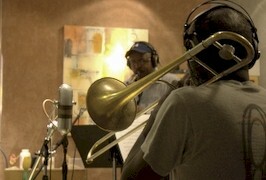 Bellboy Recording is a Pro-Tools based studio dedicated to capturing the sound and spirit of your music. 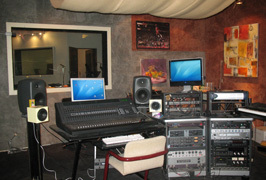 We feature spacious control and recording rooms and specialize in the live recording of all kinds of ensembles. From jazz groups, classical trios, rock-rap-funk artists, and singer/songwriters to big bands, church choirs, and voiceover actors ... Bellboy does it all! Our goal is to make the recording experience as relaxed and interactive as possible. preview Dave's Christmas CD! Now available at CD Baby. Dave recently upgraded to Pro Tools 10/HDX, updating all the plug-ins including a highly expanded Native Instruments package. Bellboy Recording has added the Control 24 mixing board to its setup, finally giving us some hands-on! Other additions include a pair of Neumann KM-84 mics. 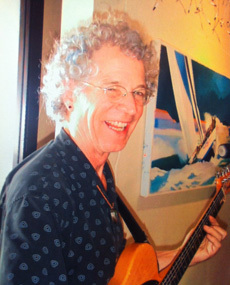 Dave also performs regularly at the Mint Leaf in Berkeley, the 1400 Bar and Grill and C'era Una Volta in Alameda.